What a beautiful start for the season of Thanksgiving. Just beautiful. I live in central Ohio and no snow yet. Can't believe it is November. Beautiful shots. I am glad we don't have snow yet. 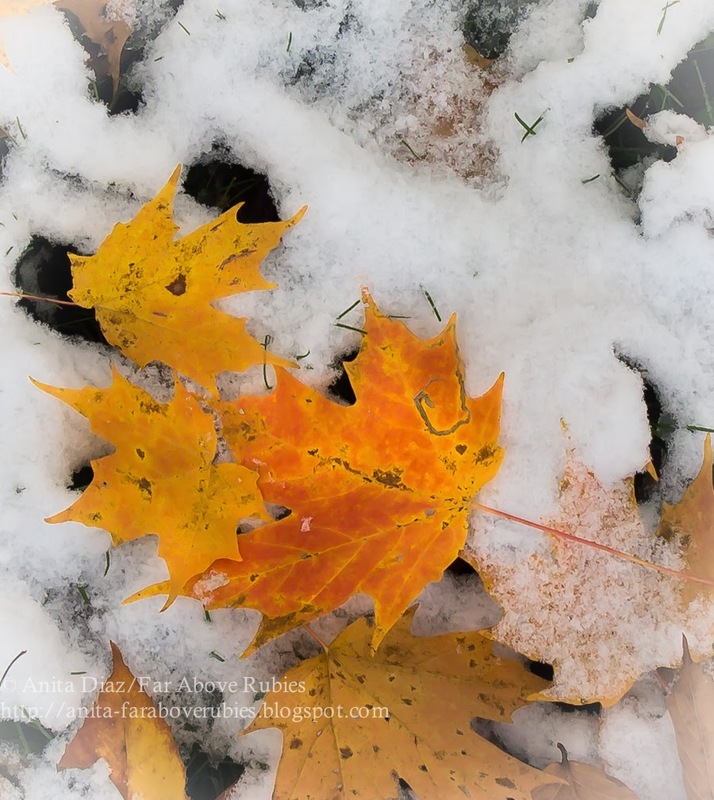 Not ready for that yet:):) I am so grateful for everything, especially the change of the seasons and all the beauty they bring. Beautiful photos. Our snow is now melted. Beautiful photos Anita! 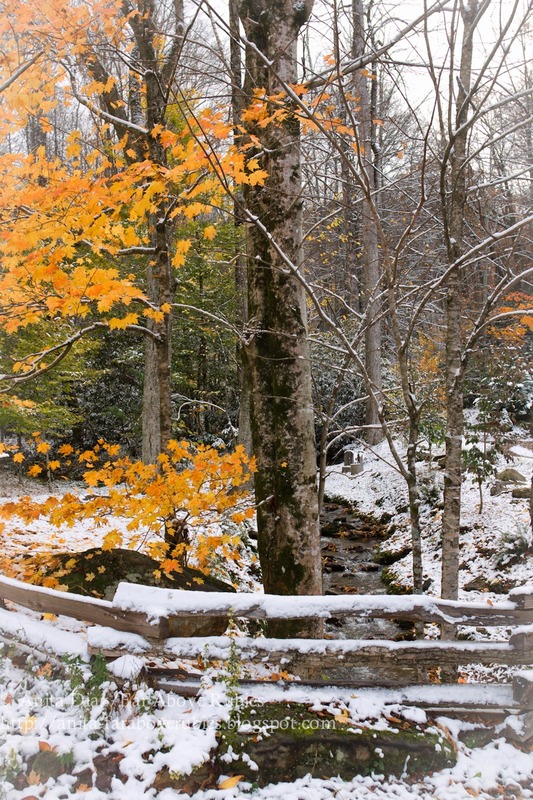 We were up at our cottage last week and enjoyed the snow in our view of the Blue Ridge Parkway. We only had rain and lot of wind! 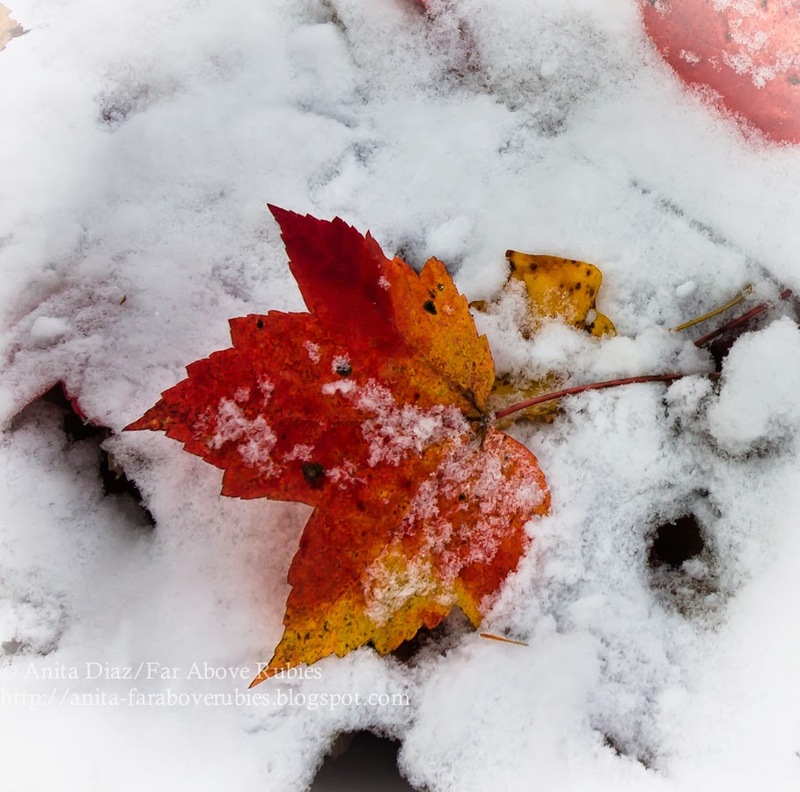 There is nothing like the beauty of the beautiful fall leaves on snow...stunning photos!